The folks behind The Blog Guidebook have started a new Blog Club program that links a group of 5-6 bloggers together to provide support, ideas and inspiration for each other. What a great idea…I’m in! Helen at The Blog Exhibit is passionate about helping other women establish a lifestyle that suits them, including earning money while staying focused on family. She’s also obsessed with all-things-coffee and the country design associated with it, and is true to her faith. 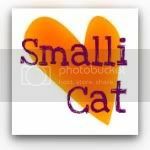 Also new to the blogging world is Alli at Smalli Cat. I love the happiness and cleanliness of her blog template. She’s sharing the things in her life that bring happiness. If I just looked at the colors and the design aesthetic of Lisa’s blog header at Joyful Jones, I would almost think she was Scandinavian! After an interrupted break in blogging, she’s back to share her style of joy-filled living. Lisa also has a great giveaway with a $10 Barnes and Noble gift card, a Nicholas Sparks book, and a book tote – so get over the today to enter! Michael thank you so much for this page about our group. You have already given me so much help! And I can see why you already have almost 60 people following your blog. Way to go! Jackie – I think they might be a bit overwhelmed with the positive response. How much time has passed since you emailed? It took about a week or so before I got feedback on the group. I'm annoyed with the blog guidebook, I posted about them and emailed them twice and they still haven't put me in it!